In a survey to our leaders, we asked how they screen their rosters for safety. We found that while there may not be a “best way” to ensure that everyone on the trip will be adequately prepared, there are a variety of effective methods to increase the odds of a successful trip. Learn a variety of tips and tricks from our most experienced leaders! Our leaders often ask about the “best” ways to screen participants in advance of their trips. We want to be inclusive of our whole community - half the fun of a Mountaineers trip is the opportunity to meet new people! - but as leaders, we also have an obligation to keep the group safe. Not every member is suited for every trip! This article was updated in March 2018. As a leader of any outdoor activity, you will likely find yourself in the position to tell someone that they are not adequately prepared for one of your trips. You know the route, you know how much time you have to complete it, and you have a good idea of the “variable” circumstances that might pop-up along the way. Be objective when thinking about the various components of your trip, and ask specific questions to determine if a prospective trip participant is adequately skilled and prepared. Strive to be inclusive, but also realistic, and consider all perspectives. 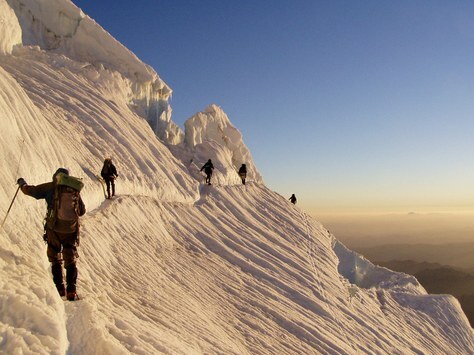 Have you gone on Mountaineers trips before? What trips? How recently? Please provide distance, pace, and elevation for some of your previous trips. Why did you select this trip? What are your goals and expectations for this trip? Do you have and plan to bring your 10 Essentials on this trip? Do you have any questions about what additional gear you need to bring? Are you properly equipped and prepared for bad weather? Do you have physical conditions or medical diagnoses that may require special accommodation? Do you have a scheduled time you need to be back by? Do you have the means to coordinate or arrange transportation? The Mountaineers is an organization dedicated to getting people outdoors safely and responsibly. While this sometimes means that our leaders choose to say “no” to a prospective participant, we encourage our leaders to be honest, compassionate, and objective. As an community of outdoor enthusiasts, we strive to create an open forum for dialogue between our leaders and trip participants. Leaders should feel comfortable asking pertinent questions - and participants should answer honestly. If you decide that a particular trip is not the right fit for a certain individual, consider suggesting a more suitable alternative. We want to encourage our members to stay involved, and to continue to learn and grow! At the end of the day, pre-trip screening is both a matter of safety and fun, which are two of our highest priorities out in the wilderness. Under-prepared, under-skilled, or under-conditioned participants can impact the safety of a trip, and they can also impact the entire group’s overall morale and experience. On the flip side, depending on your trip, you may have the opportunity to let someone stretch their skillset and learn something new in a relatively safe environment. The Mountaineers trusts our leaders to use good discretion when vetting their roster in advance of a trip, and we support your decisions. In 2014, we surveyed our leaders to learn more about their best strategies for screening trip participants. We noticed one common thread - there is no single “best way” to pre-screen a roster, and there are many different options! What is the single best method you have found for ensuring that people going on your activities are capable of safely completing them? (14.8%) I conduct pre-trip interviews of each and every participant the night before (or earlier). (22.2%) I write clear leader notes that explain trip difficulty and rating. (11.1%) I only run activities for those I know well and who I don’t need to interview beforehand. (0.0%) I touch base with participants at the trailhead or launching point. (3.7%) I know they are prepared if they have met the trip prerequisites. In reviewing the responses, the one thing that our leaders agreed on was the need for clear, concise, and frequent pre-trip communication. Many leaders noted that is particularly helpful to provide specific information about trip goals, hazards, required gear, and necessary skills well in advance of the trip. This helps prospective trip participants to self-select the “right” trip. Whether our leaders are gathering this information through pre-trip interviews, a standardized questionnaire, specific leader’s note - or some combination of the above - they are being open and objective with all prospective trip participants. In addition, many leaders will require “Leader's Permission” to attend, which means that a participant is not able to register for a trip without written or verbal permission from the primary leader. Leaders will use this opportunity to offer a pre-trip interview, or to send a pre-trip questionnaire. Although this may take more work up front, it allows the leader to get to know the participant in advance of the trip, which can pay dividends in the long-run. Pro tip! Remember that all leaders have access to our members Participation Notes, which can be used as an additional tool through the pre-trip vetting process. Learn more about where to find Participation Notes, and when and how to add one, on our blog. Pre-trip interviews for all the people I don't know, early. For short trips, it is prerequisites. For long/strenuous trips, I try to vet with interviews, and put out requirements for each to answer. If there is somebody I think might have trouble, I'll talk to them beforehand to make sure they understand what they are getting into. After that, I'll take all comers. If we graduated them from the Basic program, and they have met the prerequisites, I'll take them on a climb. They may or not be properly prepared, but we owe them the opportunity to try. Screen them before you even add them to the roster! Leader’s permission to participate means an email or phone conversation to assess. Clear leader notes explaining specific hazards, gear, or skills required. In general my trips are open to those who meet the prereqs. For trips with potential difficulties, I explain those in the Leader’s notes. In all cases I modify our use of the terrain if someone appears to be having difficulty. This increases our margin of safety. Send pre-event route descriptions and numerous emails. If I don’t know the person, I ask additional questions. Ask for references from other leaders. All leaders have tips and techniques for leading great trips, and for ensuring that everyone on their roster is safe and well-prepared. Please share your tips and best practices to benefit our community! When I explain the difficulties and pre-requisites of the trip, I encourage potential participants to ask questions. I can generally get an idea from the questions they ask if this is a trip that would be appropriate for them and whether or not they might be a good match for the trip and other participants on the trip. I edit the required gear list for each specific trip and ask all to read via the initial email. The gear list for a Basic Climb is a compilation for any basic climb and most basic students will not read it before a trip. As activities become more difficult the margin of safety decreases. One unprepared person can jeopardize the activity and safety of participants; the stressful and distasteful experience can dissuade the leader from leading. While easier said than done, it maybe useful to find some objective measures, probably by branch. For example, for the Seattle branch, the hiking and backpacking leader might classify a trip in terms of time it takes to hike, say, Mt. Si or Granite Mountain with a certain weight. The hike would be close enough to be convenient and a reality check for the applicant.